Horns Rev Offshore Wind Farm is one of the world´s largest wind farms at sea. It comprises 80 efficient windturbines capable of producing 160 MW. Annual production of the windturbines corresponds to the consumption of 150,000 households using 4,000 kWh per year. 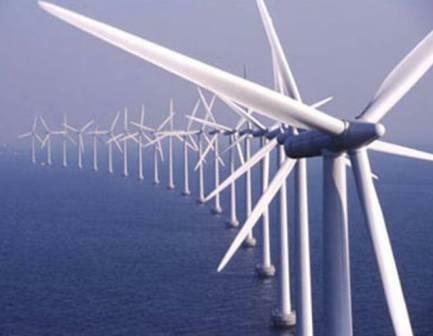 Horns Rev Offshore Wind Farm is located in the North Sea 14 kilometers west of Denmark.